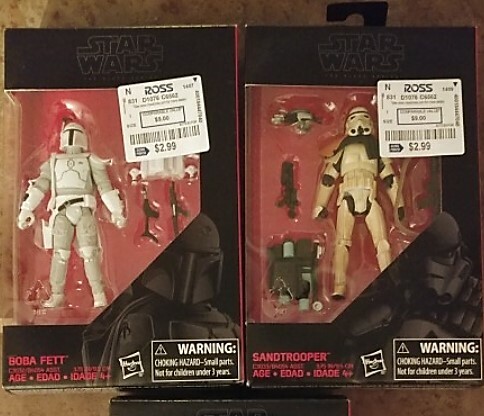 Some Ross stores are getting in TBS 3.75″ figures for the ridiculously low price of $2.99 (Sandtrooper, Ponda Baba, Tusken Raider, Boba Fett – Prototype Armor). Thanks to forum member EndorJunkie for the heads up! Personal Note: These former Walmart exclusive figures are great for army building and custom fodder; and really didn’t hit full circulation at Walmart due to some very bad previous wave assortments and terrible distribution. I know that if I see these, I won’t pass them up at this price!